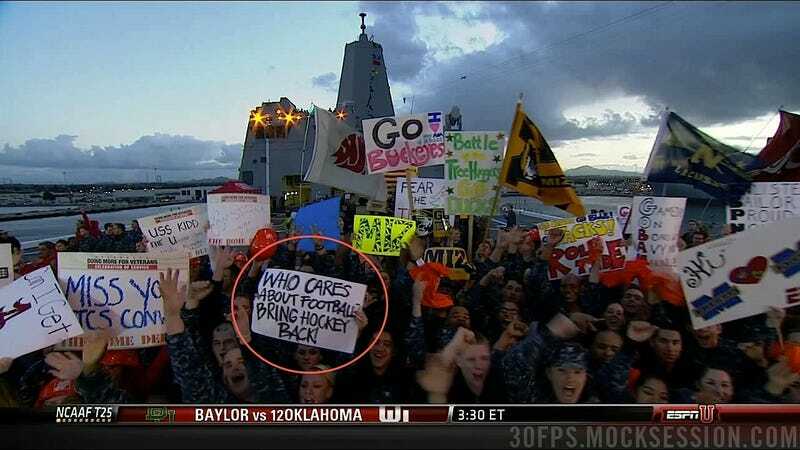 An abridged Gameday sign roundup today, because the Gameday crew was on a boat—what, you can't honor veterans on land?—and there were, as far we could tell, very few college students there with rooting interests. Which made for some weird Gameday signs! And that's it. Get back to land, guys. Nobody cares about college football in the ocean.